ACOUSTIC EXPO 2013: The beautiful acoustic Faith Guitars are designed in the UK by renowned luthier Patrick James Eggle. Each Faith acoustic uses all-solid tonewood throughout its construction, from the top end HiGloss Rosewood models through to the more accessible Naked series. Each Faith guitar is hand made by skilled craftsmen in our family run workshop in Indonesia but first conceived by Patrick James Eggle at his workshop in the UK. Each instrument is carefully checked and set-up in Patrick's workshop prior to being shipped to stores. Click here to learn about Faith's approach to building guitars. Pickups and preamps are provided by Shadow Electronics from Germany, with the FVHG-Hex model and all Eclipse models featuring their superb Stereo HEX system. This pickup system offers a stereo output with panoramic string separation and therefore a wealth of new possibilities for the acoustic guitar. Discover more about the Faith Guitars range by watching this handy video overview, then find your local Faith Guitars retail store by using their store locater. Click here to read more about the Faith FKV Naked Venus. The Faith Venus HiGloss uses a classic combination of solid Engelmann spruce top and solid rosewood back and sides, and is bound with solid flamed maple. Click here to read more about the Faith HiGloss Venus HEX. The Faith Natural Neptune electro cutaway uses a solid Engelmann Spruce Top and Solid Mahogany back and sides, and is bound with solid Rosewood. Click here to read more about the Faith Natural Neptune Electro Cutaway. 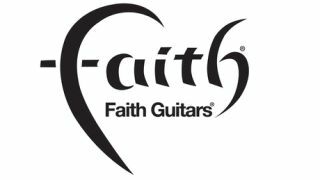 For more information visit the official Faith guitars website, or connect with them via Twitter, Facebook and YouTube.